Show your ID, even though you’ve been there 100 times. Don’t forget to sign in. Put on your hospital gown. You greet the nurse with a smile, you don’t have the strength to give. You strike up a conversation that, quite frankly, you don’t feel like having. Get his daily report. You know all the things he should have done, but couldn’t. All the things they want to see happen, but aren’t. You watch her mouth moving, not hearing every word. You nod. The conversation finally ends. You sit down. That God awful rocking chair. It’s cold in the NICU, always cold. You watch his monitor, see how he’s breathing. You hear loud dinging. You know the sound. It’s a ‘low sat’ alert. You look back at your baby’s monitor. He’s breathing fine. You look two pods over. Pod 33. A preemie Mom, just like you, has backed away from her baby’s bed, making room for the nurse. Her baby needs stimulation. He forgot to breathe for just a second. (Something you know all too well) After all, He’s still learning how to do that. She steps further away from her baby’s bed, holding back her tears, swallowing her fear. The nurse closes his bed, “all good momma” she says. Momma, feeling weak, returns to her baby’s side and stares in to his bed. I’m not 100% what she’s doing or what she’s thinking, but I think I have a pretty good idea. She’s pleading. She’s begging. She’s praying. I hear her so loudly, because I’ve heard myself so many times before witnessing her. There is something else I’ve seen in that NICU. God’s Grace. See, lucky for us preemie moms and dads, God lives in the NICU. He is with us in our suffering. God is with our children when we leave for work, or head for some much needed sleep or to care for our other children at home. God stays in that NICU. He stays, because that’s what God does. He’s fighting along side our babies. Giving them the courage they need handle the next needle. Giving them the strength to pull themselves out of their next spell. God is strengthening our baby’s nurses, RTs, and doctors. He is there to give them wisdom and peace in the tough decisions they must make. God is preparing us to be resilient parents, ready to bring home these sweet, small babies. He is there when we speak, when we cry and when we have no strength to do either. God lives in the NICU. I’m sure of it. I’ve felt him there, I’ve seen him there. He comes in the shape of fearless nurses, intelligent doctors, resilient parents and the strongest babies. The day I felt him most, was the day we left that NICU. He celebrated with us! He brought us relief ! He brought us peace. He brought us grace. Hang on & always look for God. He will always be where he is needed. He will always be where he is welcomed. As I lay here at home in pain reading this and unable to work as a NICU nurse anymore I am brought to tears. I loved my job and “my babies” so much. My doctor says I am no longer able to do my job. I am so proud to say that I personally worked side by side with God for over 17years. I will always miss my work but I also know I left all of the babies in the hands of their creator. God is with us too, Connie. With us and our bad backs and hips and all of the physical maladies nurses sometimes fall prey to early on. He is with us in our pain, too Connie. God is truly there….my baby stayed in the NICU 182 days 1 day before he turned 6 months….and the days I had to leave and go to work was the toughest but I had to put it in God’s hands….I prayed day and night and it was days I really didn’t want to be bothered with staff or anybody but I had to humble myself and remain grateful because God blesses my baby to live. My water broke at 21 weeks and I was able to hold him in until 27 weeks. Can’t nobody tell me god ain’t real!!!! Best written thoughts of the NICU I am a retired NICU nurse. Understand this writing. I am a retired NICU nurse. I truly loved my job everyday. God definitely lives in the NICU. There is no other explanation for the miracles that happen there. He has to lift up the parents and staff to give them strength to do that everyday. As I sit here rocking my baby girl in the NICU, I can’t help but tear up reading this. I’m beyond thankful for every person that has helped us here for the past 23 days at the hospital. These nurses are angels and I appreciate everything they’ve done for us. Sitting here, rocking my 6 month old who is fighting his sleep. To think 6 months ago I would deliver this hard headed, amazing child 10 weeks early. We would stay in the NICU for 43 days. I prayed even when I wasn’t trying to pray. Constantly pleading that he would finally be off of oxygen, and that I could finally be his mom. Anytime I find myself wearing thin because hes fussing and fighting, I remember that this exact will to FIGHT is what God granted my son to do. To fight for his life, fight to get over every obstacle, fight the odds. And my baby won. I have a unique perspective on this as I am a NICU nurse and the Mom of a 33 weeker. I agree, and have been blessed to witness God’s handiwork several times in the twenty years I have worked NICU,butnone more than when my daughter was born. The NICU is never where anyone wants to end up and is traumatizing to all involved. God gives us and our children the strength to endure all that happens there. My 23yo premie is a fighter also, I know God gave her that and it has gotten her thru more adversity andi continue to be amazed at her! He also gives us a unique perspective on parenting. We see all the little things others might not and have learned to appreciate everything our children offer as amazing! Stay strong young Mamas! God hàs given you the strength too! Take it from the older NICU Momma, you got this! And if you need a bit of encouragement hold the hand of your child’s nurse, they do and it helps them! As a NICU nurse with 30 plus years. I feel Good every time I touch a baby or it’s parent. I pray before any day or any procedure . I ask for his guidance and his Mercy in helping the family understand what’s happening to their baby. Yes he is there, with all of us. Every time I race to a delivery, every time I perform a difficult procedure, every time I hold a parents hand or re clarify a diagnosis, I send a silent plea to Him. Sometimes I send up a real prayer asking for guidance but other times just a quick ” let me get this IV in 1 stick” has to do. In this secular society where we do not wish to offend parents and often do not know our family’s religious convictions, I think it is important for the Moms and Dads who read this lovely poem to know they are not the only ones praying hard in the NICU. The vast majority of the staff and physicians are too. I prayed a lot as a NICU nurse for most of my 30 year career. Somehow now, though, I realize even being allowed to do something for the ‘ smallest of these ‘ was a walking prayer the entire time! I’m a ‘baby person’, always have been… now i pray for those families who took home premies and critically ill babies that they could, by God’s grace, persevere and that those babies themselves still can overcome- outside the NICU. I loved my years as a case manager in the NICU nurturing families and making arrangements for discharge home. Though this was not the journey the parents planned God enabled them to get thru it and He kept me strong to comfort them. I miss those days but am thankful for retirement. God is. The greatest physician of all and he was always with me through every resuscitation and every intervention. It is through His power and grace that I wad able to do my job! I loved being a NICU nurse. God Bless all the moms. Wow a story you live every day. Thanks for your dedication. Great article. I’m a mom of twins born at 29 weeks. 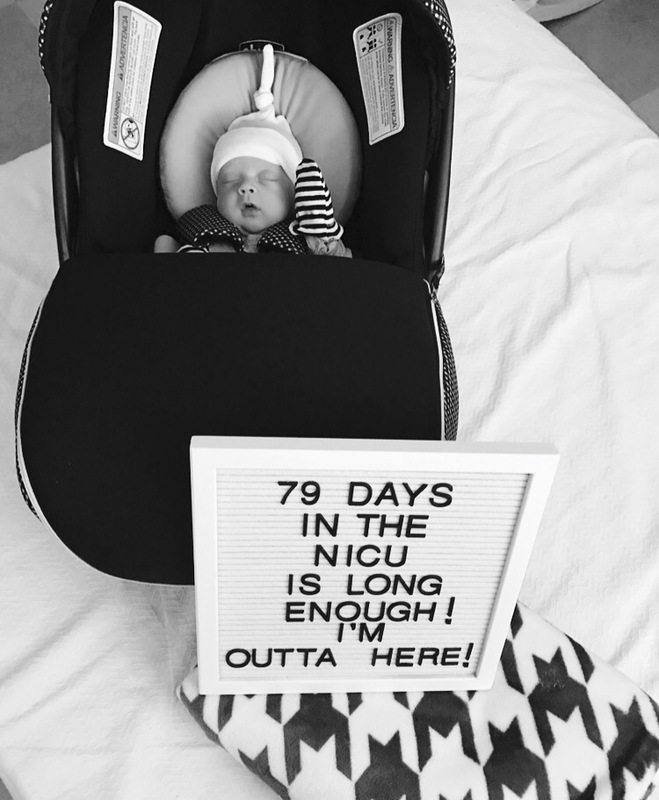 We spent 12 weeks in the NICU in Denver. It was the hardest thing I ever experienced but God was right there with me the whole time. I’m happy to announce that they are now 18 years old and trying to fly on their own. That is hard on a momma too. Thankful for Drs and nurses and other families in the NICU. Exactly, what I thought, how I felt, and every time I heard that ding I was checking my girl and her monitors. It’s only Gods grace that she was able to go home. It’s hard to know Hod is there when you sit there and plead for your child’s life. But when you have her laying on your chest for these few minutes you get and can’t finally relax you do know God is there. 8 years ago tomorrow I delivered my twin boys prematurely at 23.6 weeks, spending 100+ days in 2 NICU’s. My first son also was a NICU baby, spending 21 days between 2 NICU’s. I have no doubt GOD was at each and every NICU with us, holding us up and helping us to stay sane and focused on our babies. But, along with GOD were the nurses who were doing his work too. When you are in the NICU, you are never alone. I love this, and it made me tear up. I was premature myself – 6 weeks – and I now work in a hospital as a Chaplain and intentionally round in our NICU for the parents and staff. After 30 years my mom can still speak of the anxiety she felt as I was rushed away after delivery, that same anxiety I see in moms and dads I know have the honor to serve. After 40 years of working in a hospital lab and being the mother of 8 NICU banies I have come to realize that is the one department where you can see that God still performs miracles! GOD is definitely present in the NICU every sec of every day, he lives in the staff, he lives in the fragile lives of the preemies. His plan is not always evident, but we know from the moment our child is born that he has a plan. God then follows us along our journey after NICU. I was an ER nurse my son was born at 27 wks, and spent 12 wks in NICU, on and off the vent, sepsis, recussitations and a lot of tears and prayers, no sleep and the constant wonder why? My son is now 24 yrs old and is my precious gift. I thank God every day for him and I often think of those who were there for him in the NICU. He sometimes asks me if I know what God’s reason for “giving me cerebral palsy” was, and I have to reply that God isn’t finished with him yet. Sean has touched so many people at home, his job in a sheltered workshop at church and when he volunteers at a local food bank with me. God remains in both my and Sean’s life every day and we look forward to see what plans God still has in place for us. God bless and keep all those who give their lives and hearts to the fragile little ones, and thank you all for sharing in giving us preemie parents the love and support you give. You are all truly doing God’s work. I was a NICU nurse for 26 years. I can truly say GOD”s loving presence is always there. This is a vey good view of a parents day to day experience in the NICU. Parents empathizing with other parents, nurses empathizing with parents. These are all blessings from GOD! GOD TRULY LIVES IN THE NICU EVERYDAY! My 28 weeker preemie was the tiniest little baby I had ever seen. He was beautiful then and still is 25 years later. We have all been blessed by his humble entrance into this world. He loves Jesus and is happy to share God’s love with anyone that will listen. I cried almost non-stop for the 10 long weeks he was in the NICU. The doctors and nurses were so loving and kind. Just remember preemie mom’s … some of God’s greatest blessings are “small”. October 14, 1985 my son was born at 32 weeks. The doctors explained the long term difficulties that our child would face. I honestly don’t know how families of preemies get through the trials of the NICU without God. I could feel his presence as well as see it too. While holding him in the NICU, sunlight came in through the window. It illuminated my baby’s face. Oddly it wasn’t a sunny day. Calm and peace replaced heartache and dispair. On October 14, 1985 my son was born at 30.5 weeks. The doctors explained the long term difficulties that our child would face. We prayed without ceasing. I honestly don’t know how families of preemies get through the trials of the NICU without God. I could feel God’s presence as well as see it too. While holding him in the NICU, sunlight came in through the window. It illuminated my baby’s face. Oddly it wasn’t a sunny day. Calm and peace replaced heartache and dispair. NICU nurse here. This made me cry. I guess I’m tougher at work. God is definitely in the NICU because I make it a point to pray over every single one of my patients, not only for their stay but for their entire life. Sometimes the parents don’t know how to pray, or are too overwhelmed, have given up hope, or are non believers. God definitely hears all of our prayers and is gracious and kind. I’ve seen too many miracles to think otherwise. And for The babies that never get to go their earthy home, I always find peace in knowing that they are going directly to their eternal home heaven. I am the grandmother of Isaac and Eli, born at 27 weeks. Isaac was 2lbs.2oz. Eli was 1lb.2oz. Isaac was in the NICU for 4 months and Eli was there for 5 months. Today they are 7 years old and in the first grade. Isaac is the tallest in his class and wears a size 6 boys shoe! Eli is a smaller built boy, like my side of the family. Their journey has been nothing short of God’s miracle! I am going to post this in honor of all the nurses and doctors at Monroe Carroll-Vanderbilt Children’s Hospital, with special mention of Cindy Powell, who passed away just about 1 month ago. These people are special agents of God and we would not have our boys today, had it not been for the dedication of these doctors and nurse. We contently tell the boys their story, from time to time, so that they will always know how God worked in their lives and sent us the very best, of the best, to care for them and do things for them that we could not do. Thank you for posting this, whoever did. I read it and I am reminder to pray for these who do this work. And for those of you who are going through this as parents and grandparents of these wee ones, God bless you and your little ones. May God give you strength and courage to face each day. Summed up my NICU experience to a tee. Using words and sentences I so often used and describing feelings I can 100% relate to. It was an experience that ultimately showed me God’s Grace like I had never experienced it before. I am the grandmother of a grandson that spent six months in NICU. He will be 12 this summer. Those long, hard hours, prayers said and heard, the tears, the worry, the set backs, the milestones….yes I understand. Prayers for all parents going through that now.